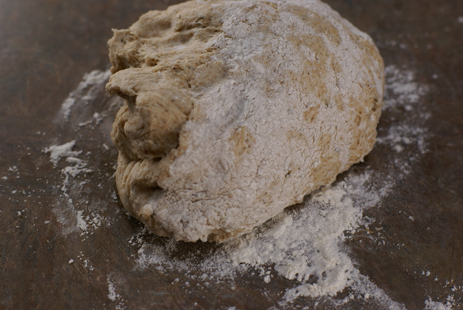 Place the first 9 ingredients into bread machine on dough cycle. By hand instructions for pizza dough can be found here. 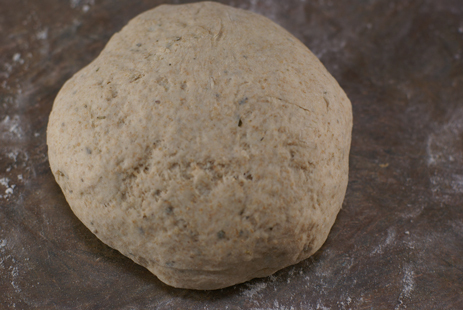 Once the dough cycle is complete, place the dough on a clean, floured surface. Further divide into 4 balls. 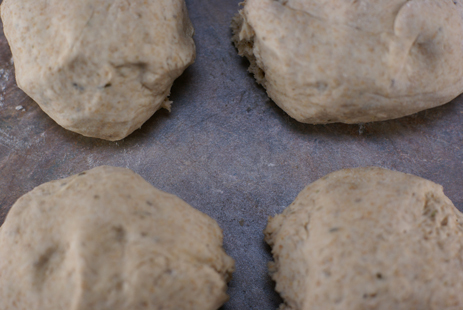 Roll out the dough balls into rectangular-oval-ish shapes. Place onto greased baking sheets. Place a few pepperonis onto one half of the dough. Sprinkle garlic salt on top. Bake at 350 for 10-15 minutes, or until golden brown on top. Serve Pepperoni Calzones with Fresh Fruit. PLUS, there were 2 leftover for Steve to take for lunch! P.S. These are totally freezer friendly and would be great for OAMC or Freezer Cooking! 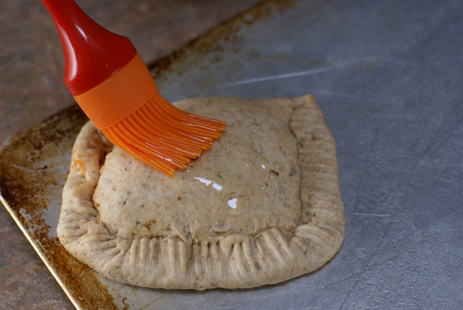 Freeze after baking. I look forward to trying this recipe! Looks wonderful, easy and tasty. Yum, these are going to be a must try here! Would you freeze them before cooking or after? Yummm! Looks like a fun one. I’m going to try this one next week. I’m assuming I would freeze them *after* baking? Yum! 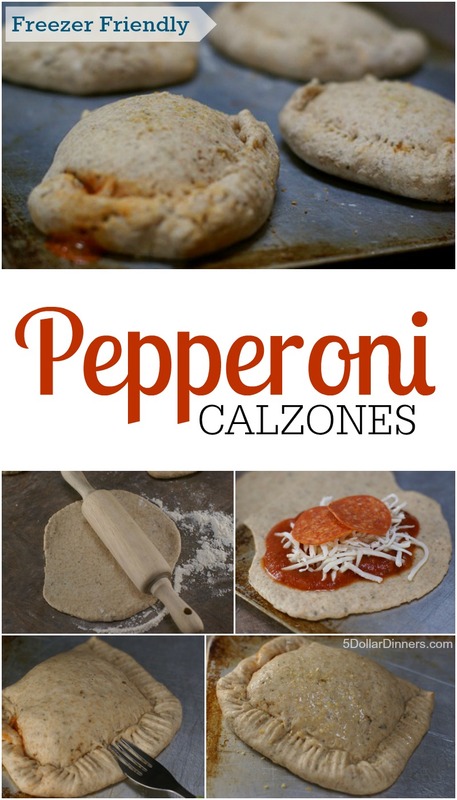 I’ve been wanting to make some calzones! You make it look so easy! 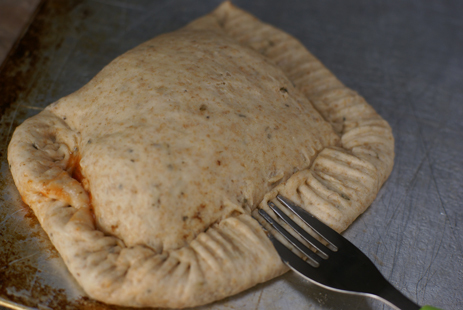 Calzones are a favorite around here and you remind me that I haven’t made them a while. Plus having some “stuff in bread” in the freezer makes for a great fast lunch sometimes. My latest was bierocks, cooked ground beef, cabbage and onions in bread. Really really good! I love bierocks! I’ll have to add those to my “to do” list! I’m going to make mine with Veggies!! 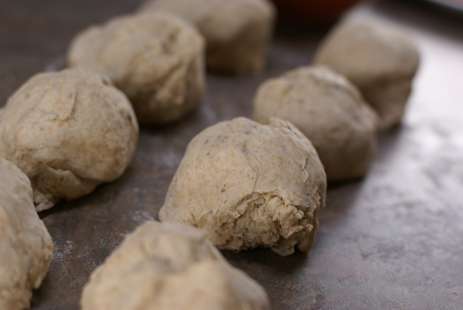 I am definitely going to try making my own dough with your recipe! 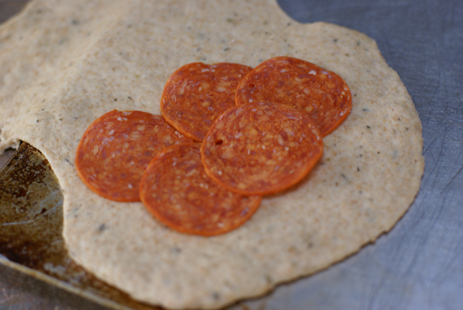 When I make these using the grocery store dough I use more pepperoni and to prevent too much grease from leaking out I boil it for a couple of minutes first. May also be a good idea to take off some extra calories! Thanks for the recipe! @Jennifer, Do you boil the whole calzone or just the pepperoni? I like the idea of getting rid of some of the grease, just a bit confused. @Tina, I’m sorry I wasn’t clearer! 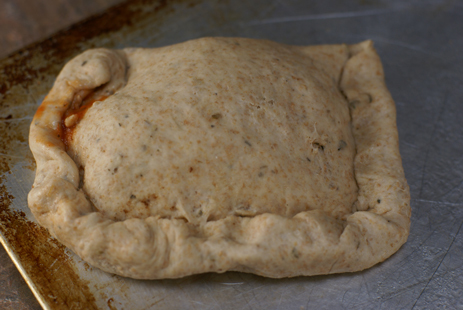 I boil some water in a little sauce pan and throw the pepperoni in for a minute or two – you’ll see all the grease float to the top…when I take them out I just blot them a bit and they’re ready to go into the calzone! I think my children would really like these. Your answer lifts the inteillgnece of the debate. Around this area (Phila. metro), these are called either Panzarottis or pizza turnovers. 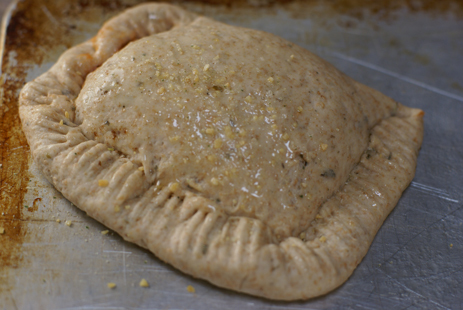 Calzones serve the sauce on the side with just the toppings in the middle. But, dang, no matter what they’re called, they’re good!! I leave the pepperonis out, though. Yum!!! i bet these would be tasty with some (precooked) ground turkey or caramelized onions in them too. These look fantastic! They would be a great alternative to Pizza Friday. What if you don’t have a bread maker? Can you translate the recipe to just using my regular oven? There is a link in the post to "by hand instructions". Your calzones look yummy! I will try this recipe with my daycare children.Do you think making your own pizza sauce or buying it is cheaper? You have very nice picture descriptions. What kind of camera do you use? Great recipe! We’ll have to try this sometime, it is a great alternative to pizza and we love pizza! Could you make this with all white flour? Would I just use 3 cups? Yes…just use 3 cups of white flour! Erin, We had pizza on the menu for tonight, but tried your calzones instead. I liked the whole wheat addition, even though it was still a bit of a tough sell to my kids (why can’t they love whole wheat as much as I do)? We did a sausage, sauteed onion and canned mushroom version, as well as a plain cheese/sauce version. 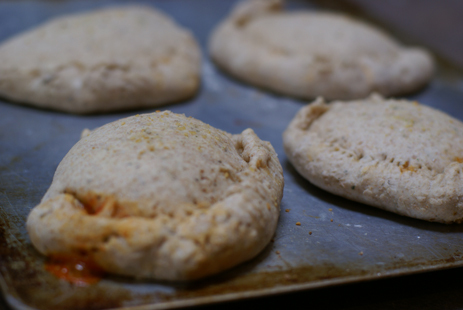 They were quite tasty and the dough was very easy to work with. Thanks for the new favorite! Where do you get your pepperoni from? Whenever I’ve bought it, it was extremely expensive. Thanks so much for the great recipe! I usually make my dough for Friday pizza night, but this sounded too yummy to pass up! 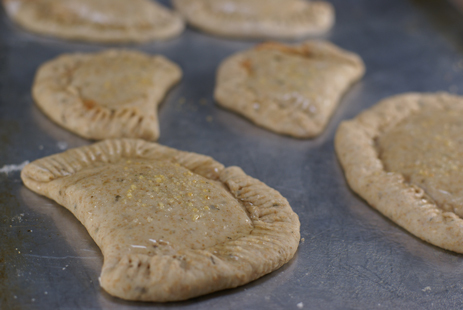 My crew devoured these in no time flat…I even stuffed some spinach inside and they never even realized it! They kept commenting on how yummy they were. 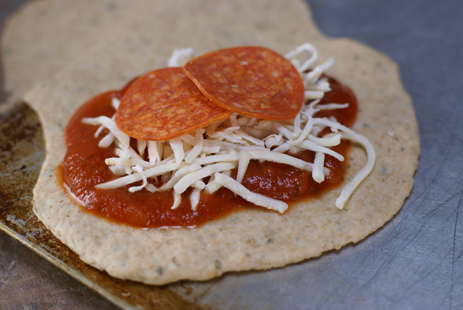 I especially liked how easy the dough was to roll out…my other pizza dough is very hard to get thin enough…this was perfect!! Thanks again!! Great! So glad you enjoyed it…and LOVE the sneaky spinach idea!!! I’ll do that next time for sure! Could you make these the night before and let them sit in the refrigerator the next day until it’s time to cook them? Also, when you freeze them, do you allow them to thaw before cooking, or put them in the oven straight from the freezer? Thanks so much! I plan to make these this week. I would cook before freezing. If you put in the fridge overnight, be sure to wrap them in some greased plastic wrap so they don’t rise out of control. I want to try making extras to freeze but need to know how to cook them after. Do I thaw then reheat in the oven, put them straight in the oven frozed, and do they cook at the same temp for the same time?? Thanks! You can freeze them after cooking. Try reheat, you can put into the oven frozen or thaw and then reheat. The oven temp would be 350 for both…only heat twice as long if putting them in frozen. I’m not sure on the amount of time needed to reheat, as I have not tried…I imagine in the neighborhood of 20-30 minutes from thawed and close to an hour if frozen. But you’ll have to see! I really wanted to like this recipe. And I guess I shouldn’t comment yet, as I’ve not tasted the finished product…but the dough was not even usable out of my breadmaker. 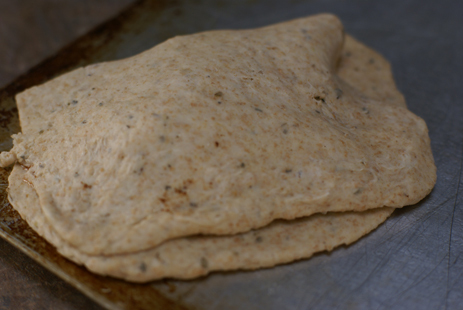 I’ve never had dough wind up goopy like this did, and I make dough often. I had to scrape the goop out of the pan, add flour, and knead for probably a half an hour before I got anything that even resembled a bread dough. And even then, it stuck to EVERYTHING it touched. 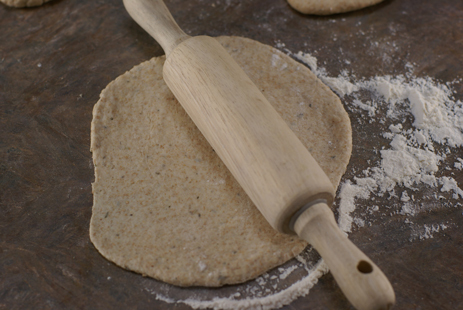 I love this idea though, and I’m sure that I’ll use it again, but probably with a different dough recipe. 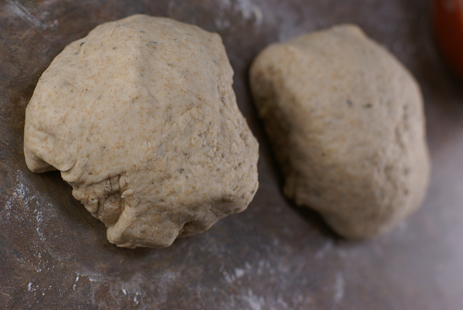 With 1 cup water and 3 cups flour, your dough should not have been goopy at all! Any chance you missed the white flour (and only added the wheat)? Do you ever freeze your pizza dough for later?